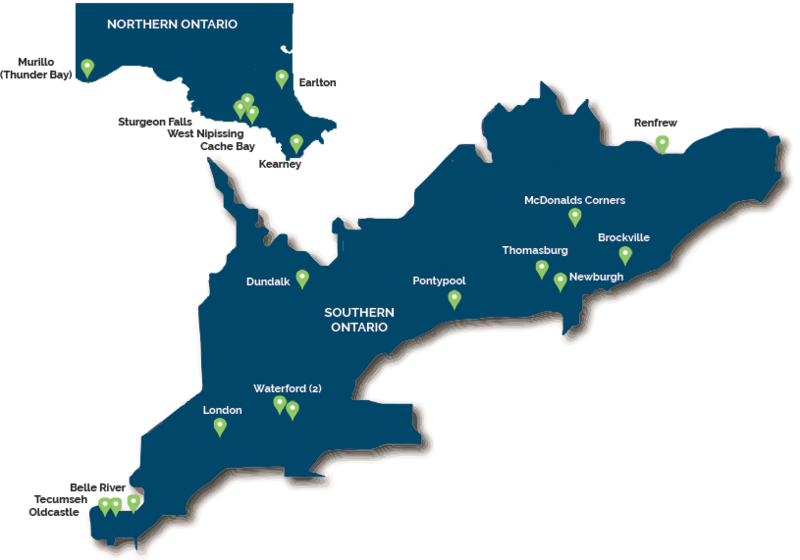 energy-producing cash flow projects across Ontario, Canada. *Find out more about investor accreditation here, and why its a requirement. Skyline Clean Energy Fund (SCEF) is an equity investment fund comprised of large-scale, energy-producing assets backed by a long-term power purchase program under the government-funded Feed-In-Tariff (FIT). The Fund acquires under-performing assets and improves the efficiency of each one of them. By maximizing the performance, each asset increases in value leading to equity growth and the acquisitions of new assets. Each asset is managed and maintained by Anvil Crawler Development Corp, the operation manager, to ensure that energy production is the most efficient. Targeted 7.5%  annual return on the re-investment of the cash flows from the solar projects. purchase the solar energy it produces, providing stable and predictable cash flows. Experienced, proven, and award-winning management team displaying a solid track record of delivering an over 12.87% annual return to investors through its other managed projects. You are investing in 100% Canadian green energy portfolio & management companies. Minimum investment amount of $50,000. 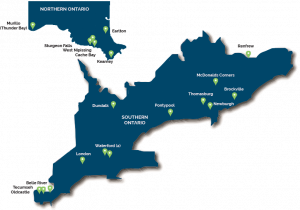 Skyline Clean Energy Fund (SCEF) is a private investment company currently invested in large-scale, energy-producing cash flow projects across Ontario, Canada. Each project generates emissions-free power, and each is backed by a 20-year government contract to purchase the solar energy generated. 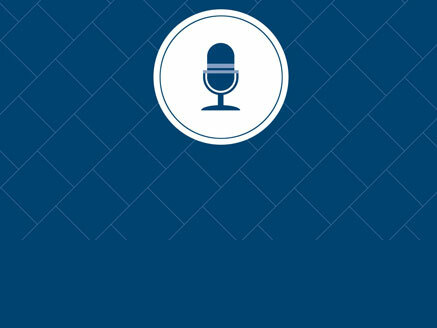 SCEF’s objective for its investors is to generate a positive social and environmental impact alongside the potential for attractive financial returns, through the combination of cash-flowing revenues from solar and other alternative assets, and further growth opportunity through the re-investment of that cash flow into other private investment opportunities. Investors will benefit from Skyline’s track record, experience, and proficiency in private investment solutions to invest in green technologies and other alternative products. 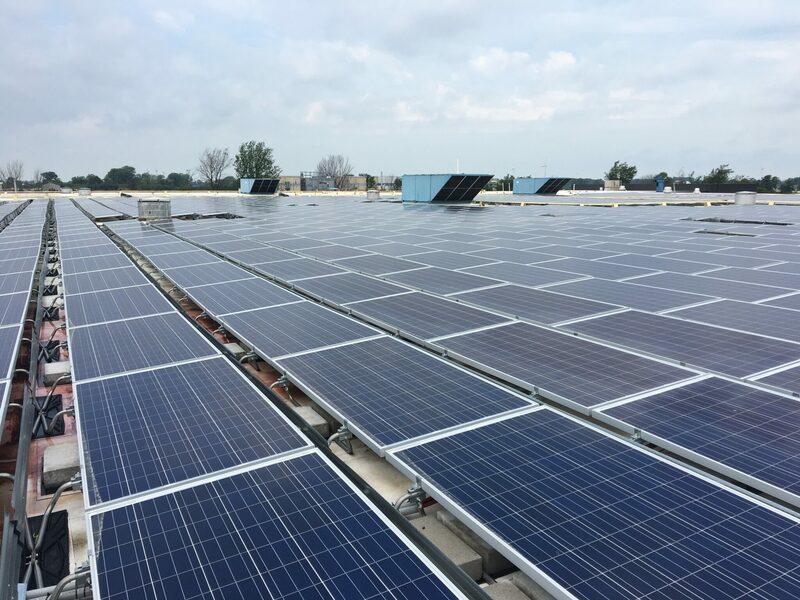 The use of proceeds from the initial equity raise for SCEF will be used to acquire nineteen (19) identical rooftop solar projects in rural areas across Ontario, described below. These solar retrofits on the roofs of large purpose-built buildings (barns) were designed, installed and continue to be managed and maintained by Anvil Crawler Development Corp.. Each of the projects is backed by a 20-year government Feed-In Tariff (FIT) contract to purchase the solar energy it produces at a rate of $0.329/kWh with an anticipated annual production rate of 7,182,000 kWh. Both the purpose-built building and the rooftop solar technology are owned by SCEF with an agreement that the interior of the barn is leased back to the landowner for the duration of the FIT contracts. At the end of the contract, SCEF maintains ownership of the rooftop installation, and the landowner retains the building. Contact our office by phone at (519) 826-0439, or by email using the form below. Please do not include links, emails or urls in your message. By Checking this box I consent to receive electronic communications from skyline wealth, as laid out by these Terms and Conditions. Projections assume investment in future solar projects and a 7.5% annual return on re-investment of cash flows generated from solar projects. There can be no assurance that the targeted return will be achieved. The contents of this website do not constitute an offer of, or solicitation for, the purchase and sale of any securities under any circumstances or in any jurisdiction. The information provided on this website is for informational purposes only and should not be relied on for purposes of making any investment decision to purchase or sell securities. In making any such investment decision, investors should rely solely on information contained in the private offering documents and related subscription documents for any investments offered by Skyline Wealth Management Inc. Sales of interests in any investments offered by Skyline Wealth Management Inc. are only made to certain eligible investors pursuant to such private offering documents and related subscription documents. Such materials contain complete information on any applicable investments, including fees and risk factors. Please read such materials carefully before making any investment. Prospective investors must make an independent assessment of such matters in consultation with their own professional advisors. Nothing in this website should be construed as investment, legal, tax, regulatory or accounting advice. No securities commission or similar authority in Canada has reviewed or in any way passed upon this document or the merits of the securities of Skyline Clean Energy Fund (SCEF), and any representation to the contrary is an offence. There is no market through which the securities may be sold. Investors will be restricted from selling the securities for an indefinite period. SCEF securities are not covered by the Canada Deposit Insurance Corporation or by any other government deposit insurer. This document contains forward-looking information, particularly statements related to targeted growth, but not limited to those statements. Forward-looking statements involve known and unknown risks, uncertainties and other factors which may cause the actual results, performance or achievements of SCEF to be materially different from any future results, performance or achievements expressed or implied by the forward-looking statements. Past performance is not an indicator of future performance. By its nature, forward-looking information involves numerous assumptions, risks and uncertainties and other factors that contribute to the possibility that the predicted outcome will not occur. Accordingly, readers should not place undue reliance on forward-looking statements. All information contained herein is given as of August 8, 2017 and, while obtained from sources which are believed to be reliable, is not guaranteed as to its accuracy or completeness. No party is under any obligation to update this information sheet or correct any inaccuracies or omissions in it that may exist or became apparent or to provide the recipient with access to any additional information. Investors should consult their professional advisors prior to making an investment decision. This information sheet is being supplied to you solely for your information, and may not be reproduced, further distributed, or published in whole or in part by any other person. This investment is available to Accredited Investors only (as defined by the securities laws of the province in which you reside). Securities of SCEF are distributed exclusively through Skyline Wealth Management Inc. (SWMI). Some directors and officers of SWMI are also trustees and officers of SCEF. Some of these persons (as well as other shareholders of SWMI) are also directors, officers and/or shareholders of Skyline Clean Energy Asset Management Inc. (SCEAMI), Anvil Crawler Development Corp. (ACDC) and Skyline Clean Energy GP Inc. (SCEGPI). SWMI provides exempt market dealer services to and receive fees from SCEF. SCEAMI provides asset management services to and receives fees from Skyline Clean Energy Limited Partnership (SCELP), in which SCEF is the sole limited partner. ACDC may in the future provide operation and maintenance services to and receive fees from SCELP. SCEGPI is the general partner of SCELP and may receive a carried interest from SCELP if certain performance hurdles are met. Under applicable securities legislation, SCEF is considered a connected issuer of SWMI. The decision of SCEF to distribute its securities and the determination of the terms of the offering were made independently of SWMI, SCEAMI, SCELP, ACDC and SCEGPI. SCEAMI, SCELP, ACDC and SCEGPI will not receive any compensation in connection with the offering. SWMI will not receive any compensation in connection with the offering other than the fees payable to SWMI under the Wealth Management Agreement entered into with SCEF. The performance and other information contained in this website may be preliminary, subject to change, and does not constitute a complete description of our investment services or performance. Individual investor return will vary depending on the timing of investment, eligibility of new issue income and fee structure. Some of the investment products offered by Skyline Wealth Management Inc., including those related to Skyline Apartment Real Estate Investment Trust, Skyline Commercial Real Estate Investment Trust, Skyline Retail Real Estate Investment Trust, Skyline Mortgage Investment Trust and Skyline Clean Energy Fund are from related issuers. A full list of issuers related to Skyline Wealth Management Inc. and details of the relationship between them is available upon request from Skyline Wealth Management Inc. Units are being offered to investors resident in the Provinces of Canada who are Accredited Investors only (as defined by the laws of the province in which you reside).